Dear readers: Do you remember about a month ago when I didn’t post anything for a week? No? Well, it happened, and it was because I was on a cruise with my family. I’d never been on a cruise before, so I wasn’t sure what to expect, but this wasn’t it. I’ve said it before on this blog, but it deserves to be said again: it gives me no pleasure to write about food I didn’t like. That’s one of the reasons it has taken me so long to write about the food I had while on a cruise to the Bahamas with my family. Most people I’ve spoken to express surprise when I tell them that the food just wasn’t that good. I remember very clearly the first dinner we had in the Tsar’s Palace, one of two main dining rooms on the ship. The dining room is at the rear of the ship, with windows looking out at the ocean. As I looked out I got a glimpse of old time grandeur; a reminder of what life might have been like for the wealthy about 100 years ago, when you had no choice but to take a ship across the ocean if you wanted to travel. Then the food arrived, and the disappointment started. 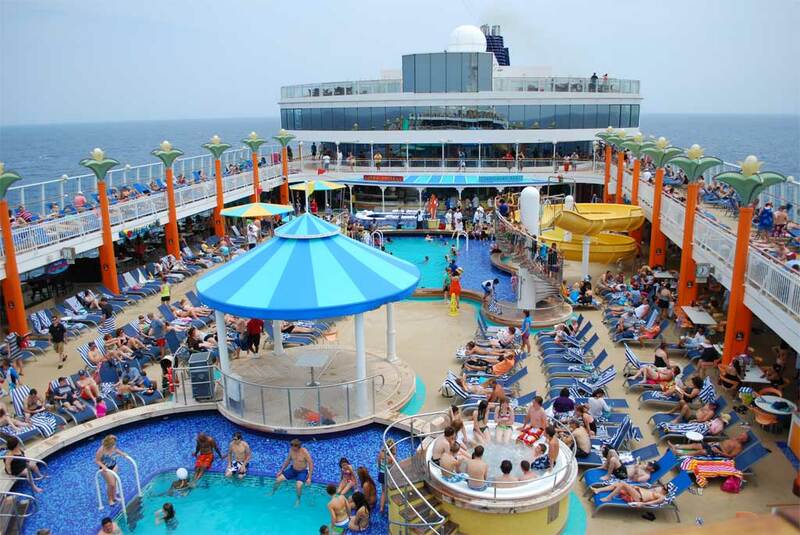 With around 2200 passengers on board, the majority of the food on the Norwegian Jewel tasted bland and mass produced. It wasn’t all bad. 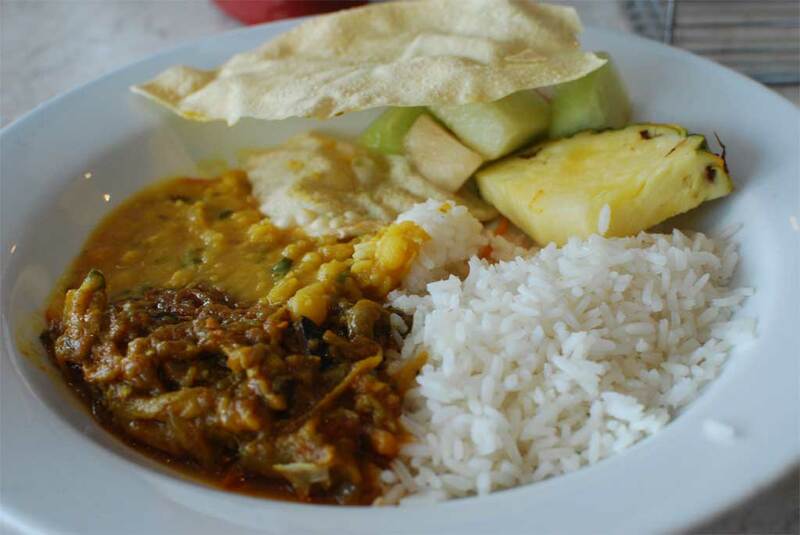 If there was one food that was consistently good during the week, it was the Indian food. Maybe it was just because it actually had lots of flavor, and was often really spicy, even on the mass buffet. In addition to the main dining rooms, which are free, and the big buffet, which is free, and the Blue Lagoon cafe, which is free, the Norwegian Jewel also features a handful of specialty restaurants that you have to pay extra for — usually between $10 and $25 for a full meal. Most people were content to eat the free food, because, as a family member put it, the food you would have to pay for “wouldn’t fill you up any more, or satisfy you any more. Why pay extra?” He’s obviously not a food blogger. One day there was a special Indian buffet lunch, which cost an extra $15. Because the Indian food had been so good, I decided that it was worth the cost. After I sat down the Captain and his crew came in for lunch also, which I took to be a good sign. I enjoyed the food, but nothing prepared me for the dessert. This carrot halwa was the best thing I ate all week, and was one of the best things I’ve eaten all year. 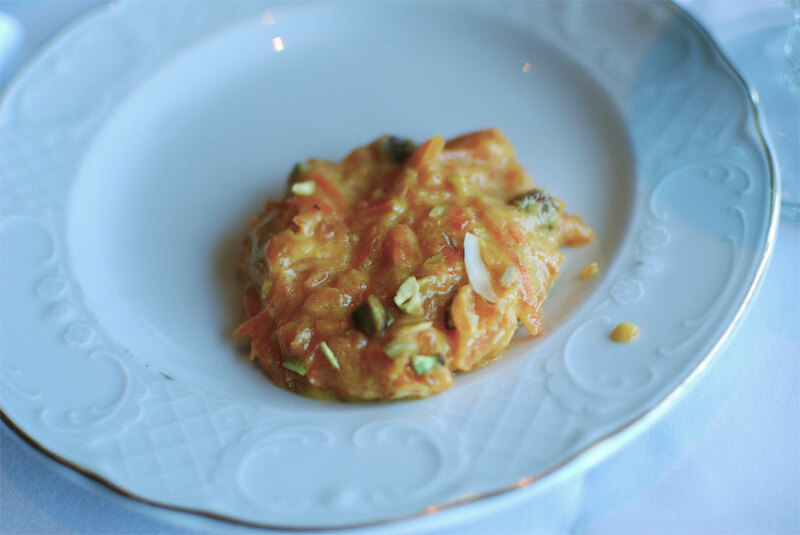 Shredded carrots, stewed with condensed milk and raisins, served warm with pistachios — I couldn’t believe how good it was. When i expressed that sentiment to one of the servers (who was from India), he pointed to another server and told me that she was the one who had cooked it. That’s right, the best thing I ate all week wasn’t prepared by any of the onboard cooks, but by an Indian server who was probably just cooking it because she liked it. I don’t really want to dwell on the bad stuff. I’m sure the cooks have a hard time making enough food to feed so many people. The presentation of the food was often very nice, but you can’t always judge a book by its cover. 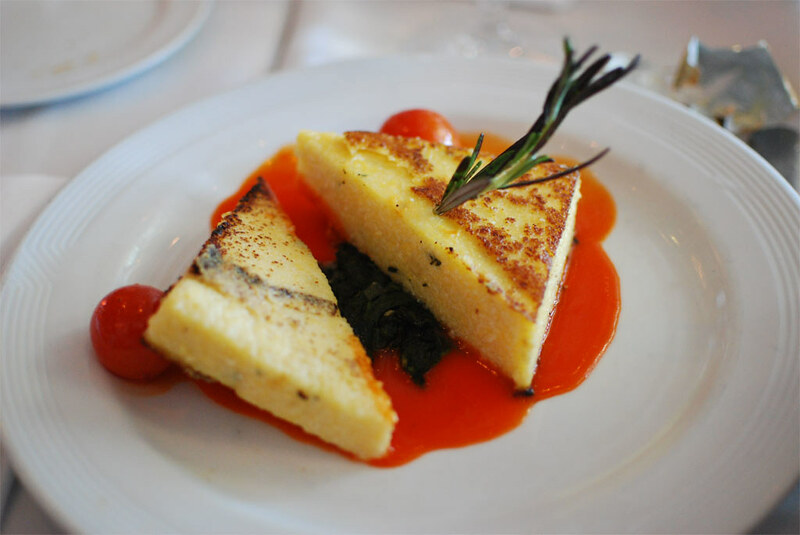 You may have looked at this photo of polenta cakes with goat cheese and thought that it looked pretty good. This was actually one meal that wasn’t bland — it was way to salty to eat. This was one of the last meals we had aboard the ship, and when the servers saw that I wasn’t eating it they asked if they could bring me something else. Based on my experience I told them not to bother, and after the table had been cleared I went back up to the main buffet for some Indian food. So the good news is that the food has definitely improved. So has the entertainment. Both were much more palatable; but the choices at the buffet were more varied, and the overall presentment was significantly better. The bad news is that NCL’s cruise your way doesn’t work, and your food, though better, ain’t great.